About Us - Claremont Animal Hospital, Inc. 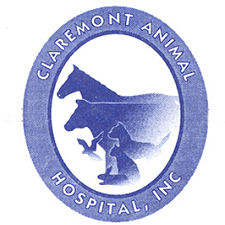 The Claremont Animal Hospital, Inc. is a place where pets and pet owners receive a special level of care and attention. We recognize the special bonds and emotional attachments that form between humans and their pets. As faithful companions, your pet is considered to be a very special member of your family who deserves the very best in care. Our goal is to provide the most comprehensive and advanced veterinary care in the region, treating large and small animals as if they were our own. At the same time we seek to bring added comfort to pet owners by keeping them well informed with regard to preventative practices, treatment procedures, proper nutrition and grooming, always remaining sensitive to the financial concerns of our clients. We believe that a well informed pet owner has greater peace of mind and is better prepared to actively participate in pet care.